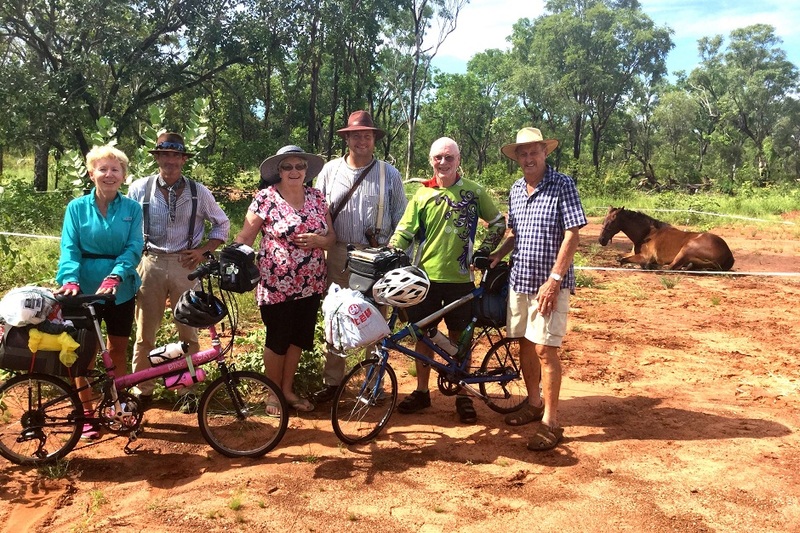 On the way to Mataranka, The Borella Ride met two determined travellers coming south - Canadians James Kelly and Michele Bates. The Borella Ride on the way to Mataranka. Photo by Luke Paterson. 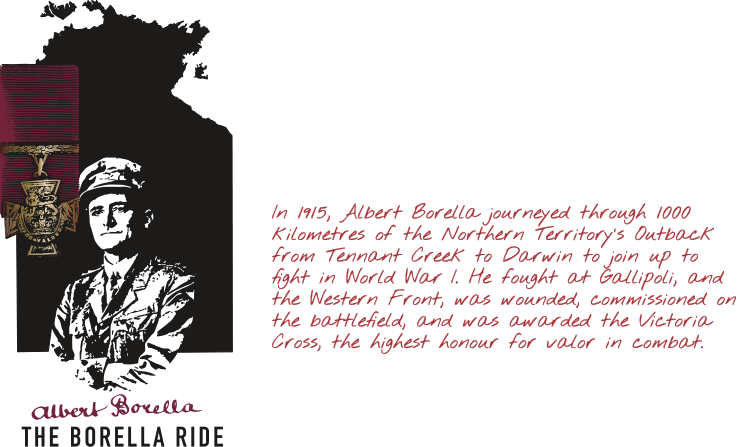 The Borella Ride Travelling Display in Mataranka. Photo by Luke Paterson. 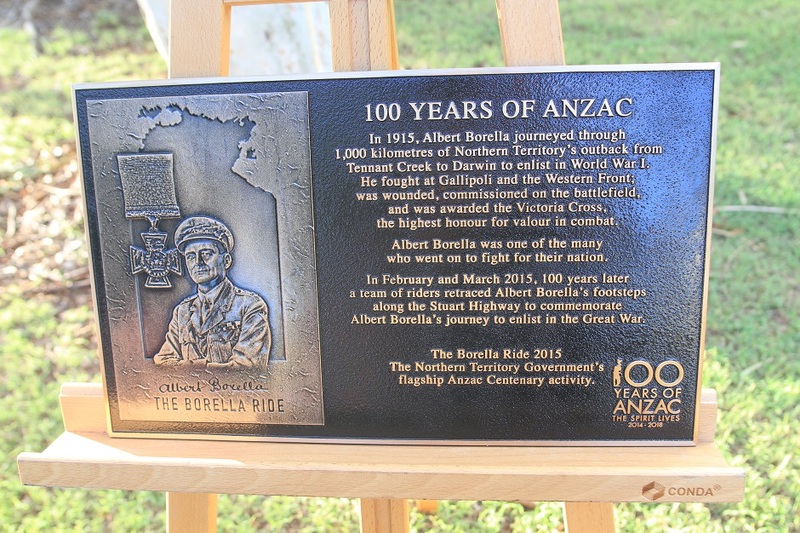 The Borella Ride plaque that was presented to the Mataranka Community. Photo by Luke Paterson. 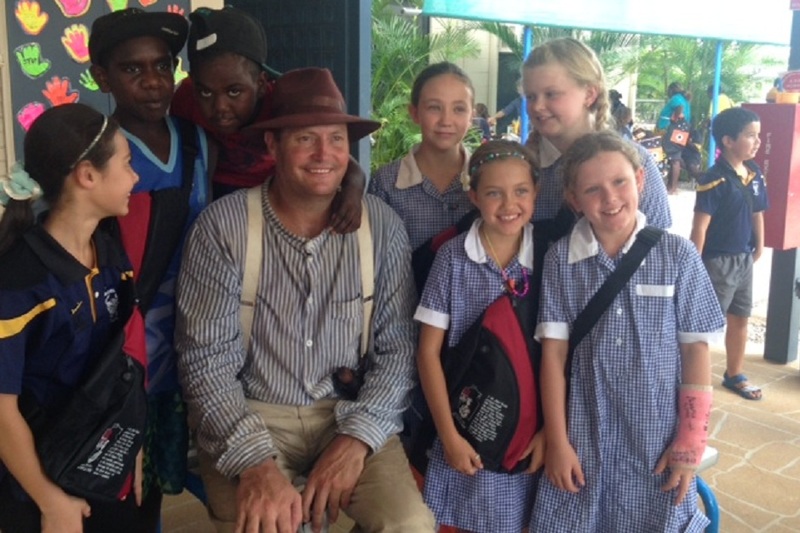 Richard Borella with students from Mataranka School and Jilkminggan School. 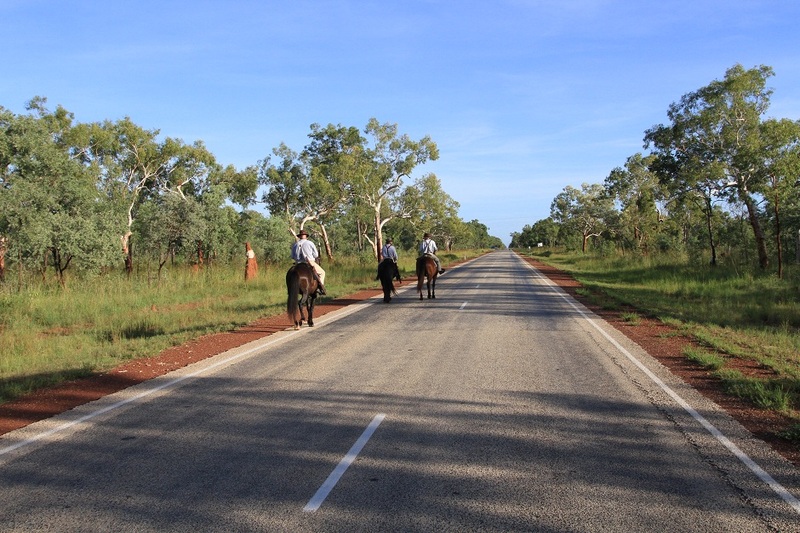 On the way to Mataranka, The Borella Ride met two determined travellers coming south. Canadians James Kelly and Michele Bates were riding bicycles along the Stuart Highway, covering nearly 100 kilometres a day. Both were enthralled by the Albert Borella Victoria Cross display at Darwin’s Parliament House, and knew all about his quest to sign up. They were hoping to cross paths with The Borella Ride on their journey south and enjoyed a chat with the team in the shade. Afterwards, The Borella Ride continued to Mataranka where they received an enthusiastic welcome from Mataranka School. Students from Jilkminggan School also arrived in Mataranka to see The Borella Ride and join in the community activities. 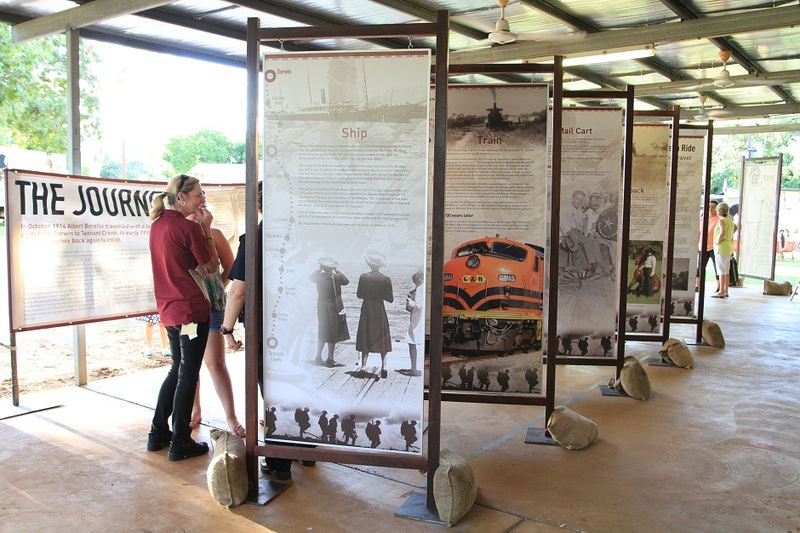 A community barbeque was held at Mataranka Town Hall where people could see the Travelling Display and watch performances by Janette Wilson and Luke Nolan on the horses. A plaque and framed medal board were presented to the community. That evening The Borella Ride began to experience some of the wet weather of the top end with an intense local storm drenching the camp.